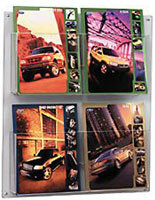 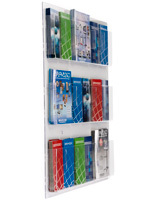 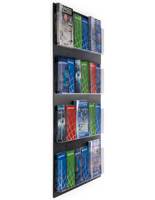 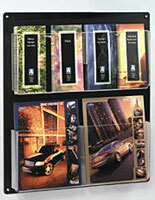 This mounted pamphlet rack has a 9-pocket system for the display of catalogs and trifolds and is adjustable to 18 slots with the enclosed pegs. 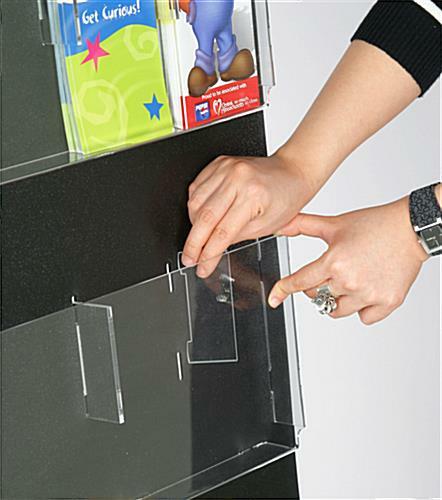 Preserve tabletop and floor space with this fixture so offices and storefronts remain nice and tidy! 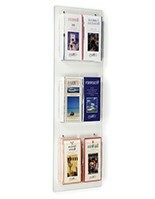 This mounted pamphlet rack, such as a transparent acrylic stand, comes with pre-drilled holes to make installation easy. 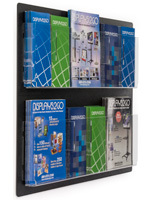 This fixture for a retail store or office offers different ways to configure the materials so that newsletters, brochures, or both can be displayed. 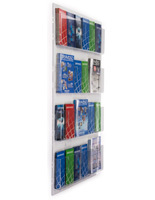 This pamphlet rack for commercial use is more affordable than most wooden alternatives, especially when purchased in bulk. 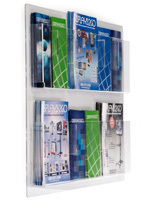 This magazine holders system is shipped with compatible hardware.